If you’re interested in upgrading your home heating experience, don’t hesitate to call us with questions involving eligibility, pricing and anything else that might cross your mind. With our advanced thermal cameras and decades of experience we can also help solve any issues you’ve been experiencing with an existing system. Call or text us at 605.222.4770 for the information you need to make the best choice for the future of your home heating. In recent years, heated floors have become a much more prevalent feature in many properties. 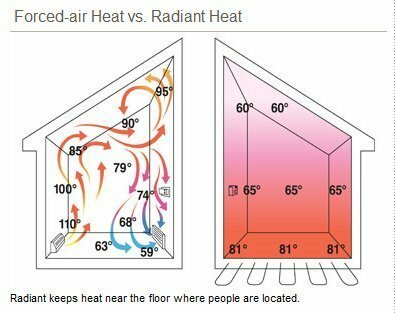 Homes with this added feature tend to be more efficient as a whole, and offer homeowners a more efficient access to warmth when and where it’s needed the most. 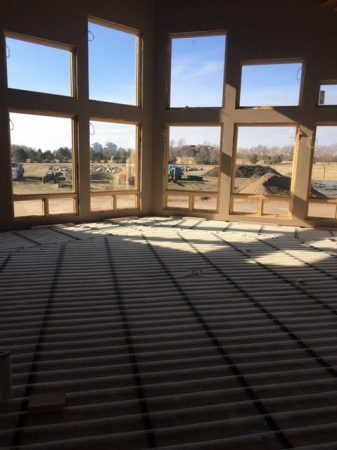 The installation of these systems is one of our specialties, and we can get your remodel or new construction this forward-thinking heating solution with minimal hassle when you choose to work with us. Your centralized heating provides enough heat to get by during the winter, right? So why bother with a new system? The truth of the matter is, while your current heating setup might be nice, it doesn’t offer you the extra mile when it comes to comfort, convenience or efficiency. 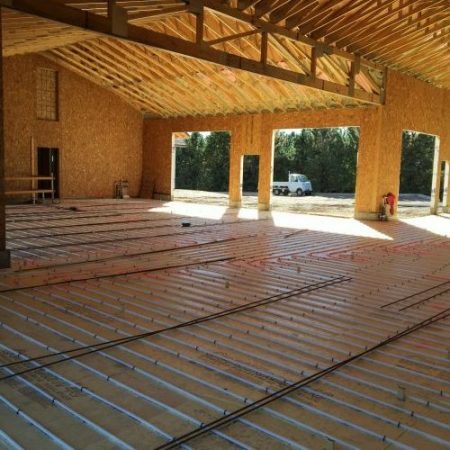 Radiant floor heating is simply superior to other options in a number of different ways. Furthermore, this method of heating reduces the amount of allergens and dust circulating throughout your house, making it an excellent option for those who suffer from asthma or allergies. It’s just one of the benefits that sets this heating opportunity apart from the rest. 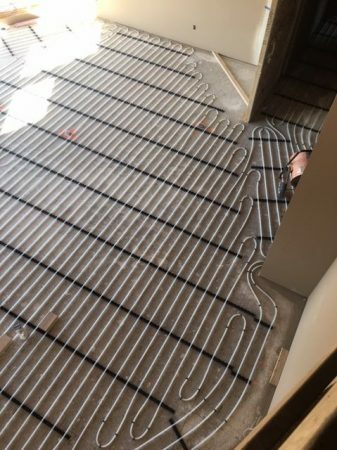 The average floor heating system uses water as a means of heating rather than air. Because water is a better conductor of heat than air, the system uses much less energy to push warmth throughout your home. This, in turn, means you’ll be spending less on your monthly energy bills when you opt to install one of our expertly-crafted systems. Modern snow melt systems can truly change how you view our harsh South Dakota winters. These systems make the hard work of shoveling snow on sidewalks and driveways a thing of the past. Long used for commercial and industrial applications, snow melt systems are also available to homeowners, and they provide some great benefits. Very few people love waking up early to do the hard work of shoveling snow. Shoveling can leave you feeling cold and sore. Snow melt systems provide the perfect solution to your shoveling woes, increasing convenience and making it easier to properly take care of your home. 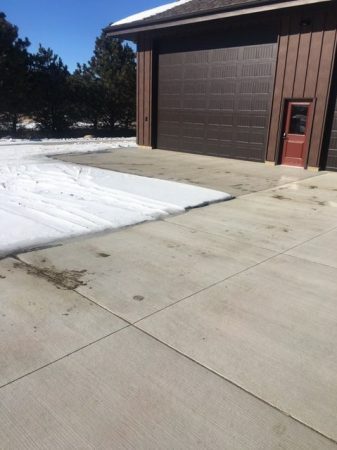 Snow melt systems offer more than just convenience in the terms of greatly reducing the need to shovel. Our systems run on automated programs so that you don’t have to worrying about turning them on and off. While playing in it may be fun for some, snow can also create a dangerous environment. Almost everyone who has lived through our cold winters has fallen once or twice, which can lead to sore bodies and injuries. 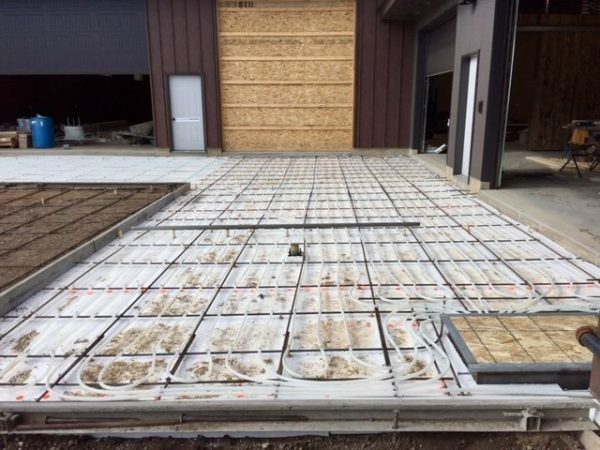 Installing a snow melt system is a great way to reduce the risk of falls. These systems can keep porches, entryways, sidewalks and driveways free of snow and ice. Of course, all of their benefits mean that snow melt systems also add value to property. If you ever decide to sell your house you’ll enjoy a potential bump in value if your home has a reliable, professionally installed snow melt system. Keeping your home free of snow and ice shouldn’t break your back. Contact us to find out how we can help you eliminate these winter woes. We offer complete installations for new construction, and are here to help ensure the job gets done right from beginning to end. We use decades of know-how to properly design your heating system, and then deploy highly-trained expert teams to ensure the installation is done correctly. Remodels often present unique challenges that our team is experienced in solving. Learn more about our floor heating remodel options by contacting our expert staff. 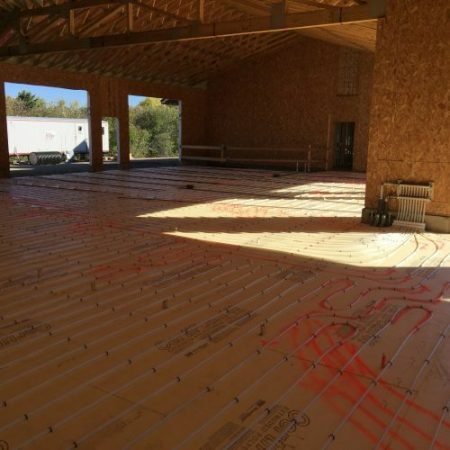 All in all, radiant floor heating offers the best results with the best efficiency. If you’re interested in upgrading your home heating experience, don’t hesitate to call us with questions involving eligibility, pricing and anything else that might cross your mind. Call or text us at 605.222.4770 for the information you need to make the best choice for the future of your home heating.